MI-ASM is not currently offering student travel grants for its 2019 Annual Meeting. Awards of up to $1000 each will be granted to individual students to provide funding that will enable the awardee to attend and present his/her research at an appropriate microbiology or microbiology-related scientific meeting. Awards will be awarded at the meeting of the Michigan branch of the American Society for Microbiology (MI-ASM). The application deadline is Dec. 1st of each year. If this date should fall on a weekend, applications will be due Monday following Dec. 1st. This award is intended for students in the biological sciences who are preparing for a career in the field of microbiology by actively participating in a microbiology research project. At the time of application, an applicant must (1) be currently enrolled in an accredited educational institution in Michigan, (2) have presented an oral or poster presentation at a regional meeting of the Michigan branch of the American Society for Microbiology within one year prior to the application deadline, and (3) plan on presenting this research at a national or international microbiology or microbiology-related scientific meeting. Undergraduate students and first-year graduate students are especially encouraged to apply. The following application documents should be sent on or prior to the application deadline to Michigan ASM via email at michaelpressler2@delta.edu. A completed application form filled out by the student applying for the award. A one-page statement written by the student describing the scope of his/her research project, his/her involvement in the research project, and a brief description of how this award will help the student in achieving his/her goals toward a career in microbiology or microbiology-related field. One letter of reference from the applicant’s primary research adviser, addressing why the applicant is a good candidate for this award and justifying the need for financial assistance towards the applicant’s travel. Letters should be signed and submitted separately, as a PDF document, to the email address above on or prior to the application deadline. Applicants will be notified regarding the status of their application by email on or before Feb. 1st following the application deadline. 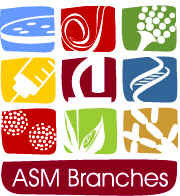 Awardees will also be recognized at the spring meeting of the Michigan branch of the American Society for Microbiology. Please click here to return to the Conference Preparation Area.